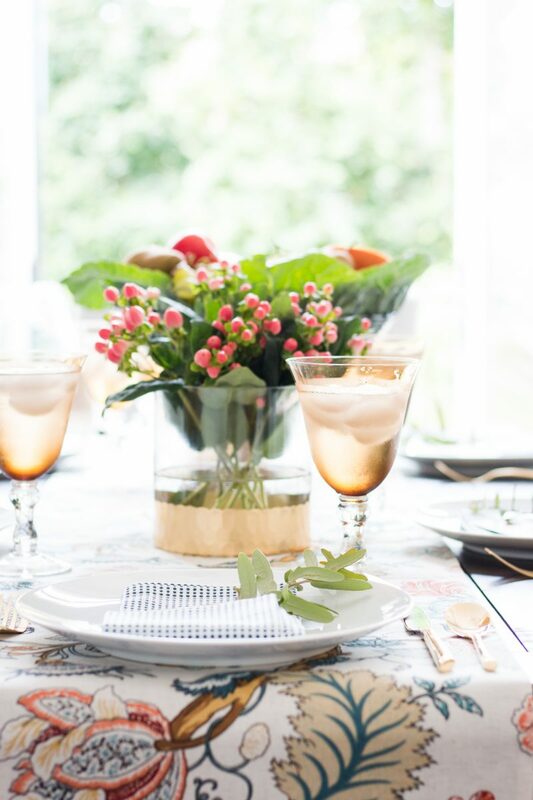 *Proud to partner with World Market to bring you Fall entertaining tips & ideas. Good morning! Fall is just around the corner. 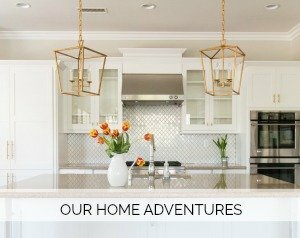 While we are still enjoying really warm temps, I have my eyes set on entertaining with a bit of an Autumn flare. 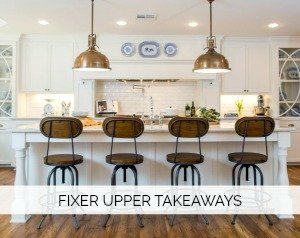 I love the idea of keeping things fresh and light. You don’t have to use dark, heavy colors to bring in touches of warmth. 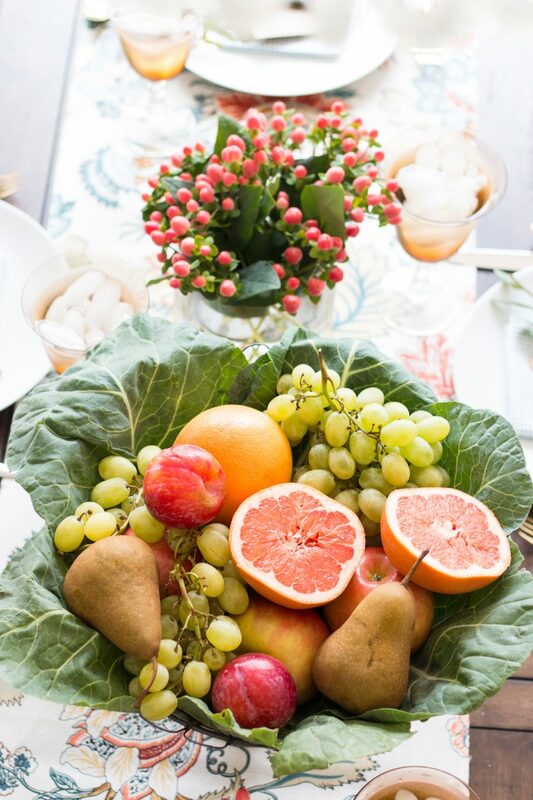 In fact, I prefer the use of fresh greenery, fruits and a colorful table. The runner was my inspiration piece. The moment my mom and I spotted it in the store, I knew it had to have it. 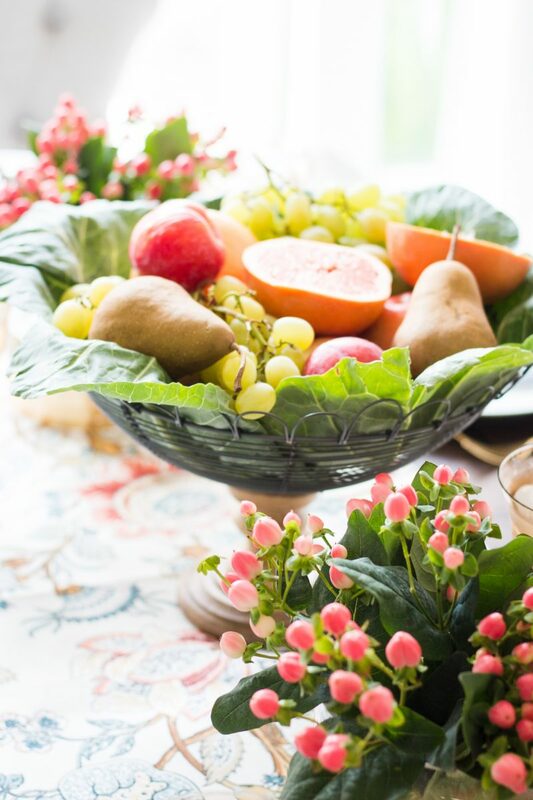 It naturally lent itself to decorating with fresh fruit and flowers. 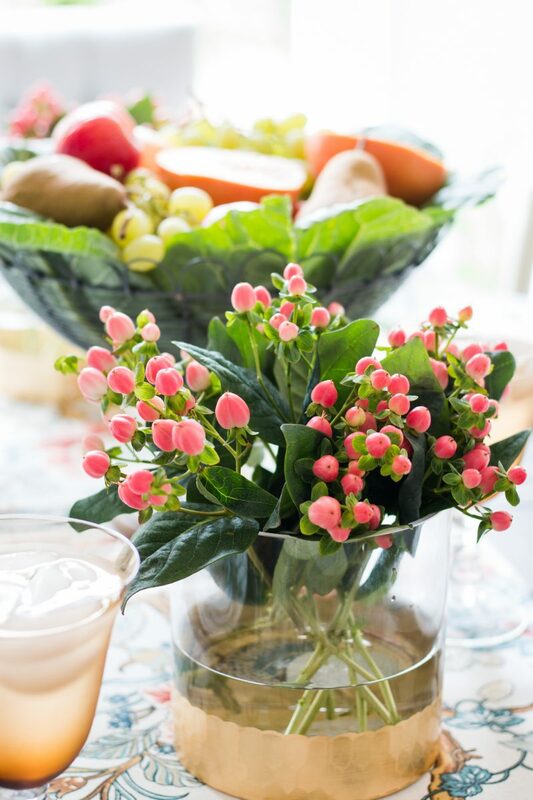 While you can set your table far in advance, wait until the day before or the morning of to fill your vases with fresh flowers and fruit. The wire and wood basket brings so much warmth and texture to the table. Just what you need for Fall. I lined it with giant lettuce leaves and filled the bowl with oranges, apples, pears, plum, grapes, and grapefruit. I never recommend buying matching linens. If you pick a bold runner, choose a small print napkin. Just draw upon one of the colors in your runner and you can’t go wrong. I love the combination of the small dots mixed with the large florals. It makes the tables much more interesting. The olive branches should be cut at the last minute. 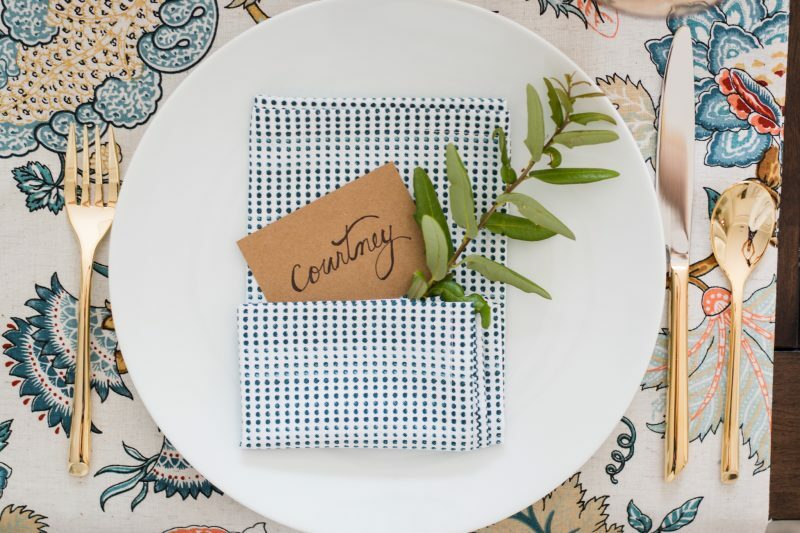 You can always use a single leaf from a tree in each napkin, too. If you have little ones, let them go out and gather the leaves. Mine still love being involved when we have friends or family over. The print of the runner is what I feel in love with you. In lieu of the runner, you could also use the floral napkins. Such a pretty way to start adding a touch of Fall. You can get a set of napkins for just $11 right now. To get this look, just place the folded napkin on the plate as you normally would. Then fold the bottom up to create the pocket. Press it down with your hand and you should be all set. 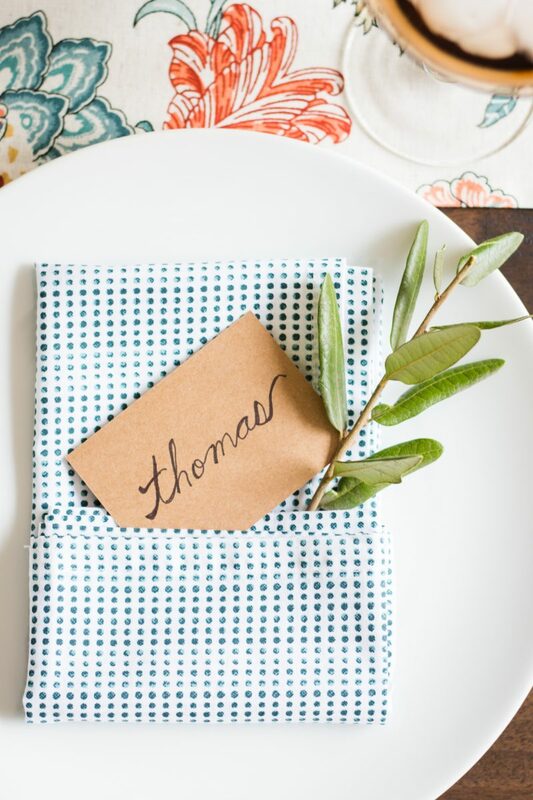 Tuck in a place card and touch of greenery. 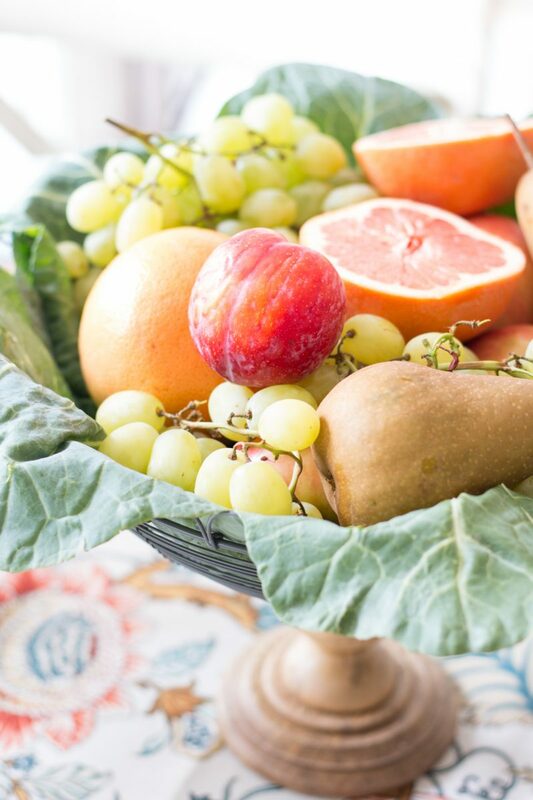 While I don’t expect the guests to dive into the fruit (although they are more than welcome to), a basket of fruit won’t go to waste. My children will devour this in two days. So save your money and only buy a few fresh flowers for smaller vases. Or cut greens from your own yard. My lettering is far from perfect, but I’m working on it. Simple brown cards add a natural feel and won’t break the bank. You can pick up paper from a local stationery store and cut them yourself. Your guests want to see each other. There is nothing worse than sitting down to dinner and not being able to see over the centerpiece. This bowl is a great height because it still adds dimension to your table, but you’re not forcing guests to awkwardly look around anything. We’ve all been there! I’ve had these brown water goblets since we got married. They have come in handy for sure. 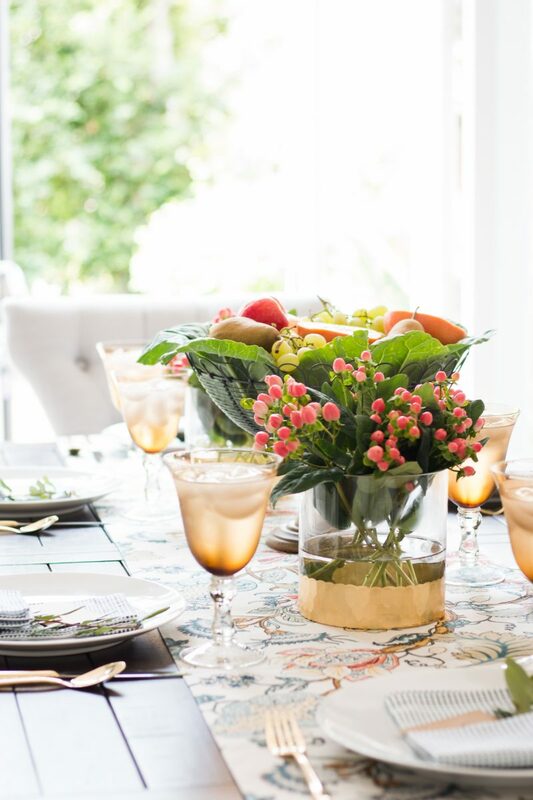 Little details like the gold on the vases helps tie the entire table together. We’ve also had our extension table for over five years and love it. We’ve had so many family gatherings around this table. It’s currently on sale. 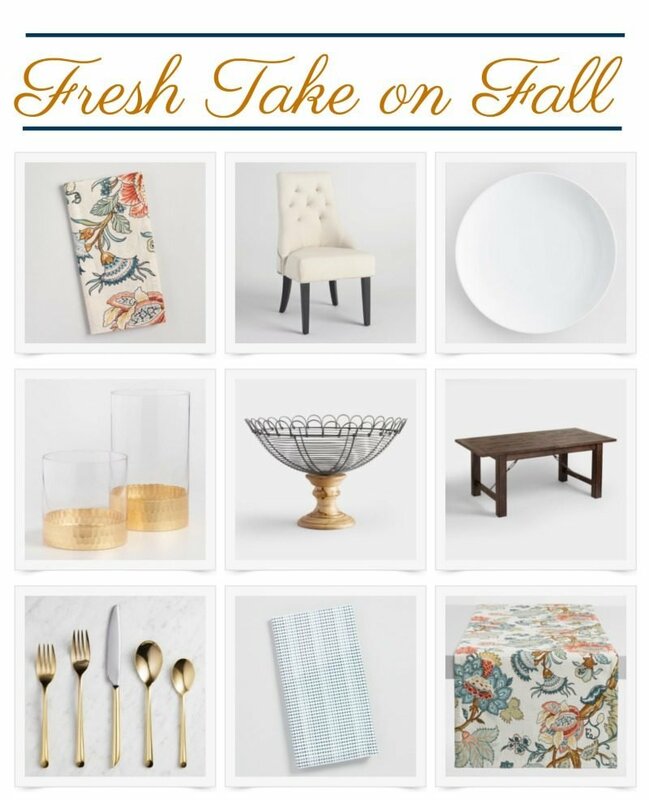 Hope this inspires you to bring a touch of Fall into your home. While I hate to see summer go, I really do love the idea of sweater weather mixed with lit candles, comfort food, and gathering around the table. Sign me up. World Market has a great sale going on with up to 50% off of dining furniture. Have a really great day, my friends. Wow, so beautiful! 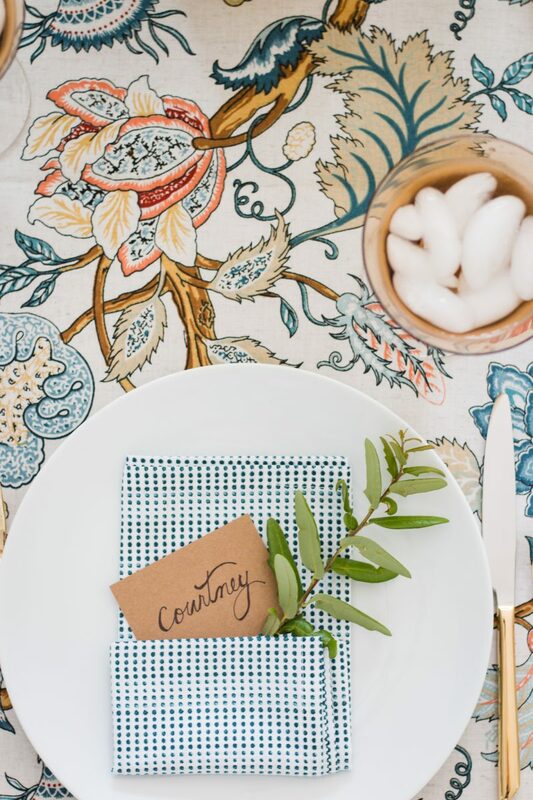 I have a similar table runner from World Market and it’s the show stopper in my dining room. Currently it’s covered in 3 kids worth of last years school stuff they brought home 2 months ago. I HATE dealing with that stuff so there it has sat. You have inspired me to take back my table and make it pretty again! Thanks for the inspiration! Thank you, Kerri. Girl! I so know how you feel. You should see our island half the time. Covered in kids’ papers and supplies. I actually have a hall closet where I toss everything and it’s gotten out of control. So you are not alone! 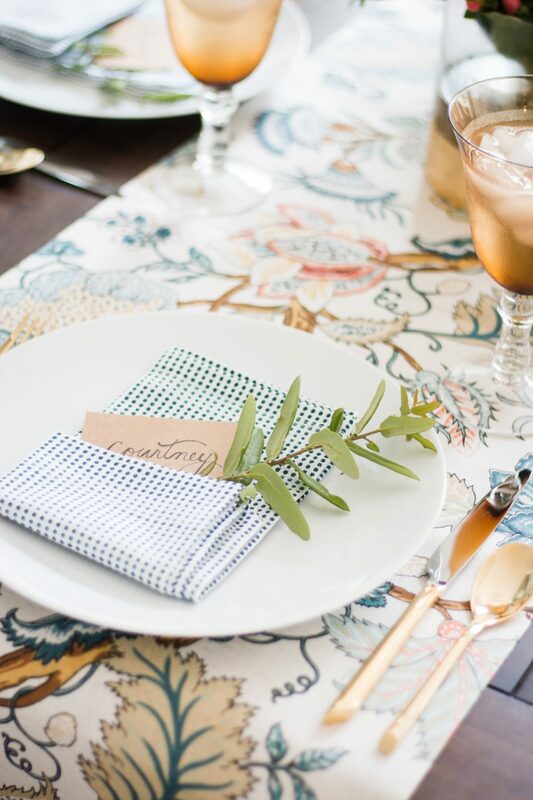 Happy to hear this may have inspired you to see that pretty table runner again. Have a great week. gorgeous runner and love the napkins you chose. So much so, I ordered both for our gatherings. definitely will freshen our Fall. I will cold wash and hang to dry both the runner and napkins, to help with shrinkage and longevity. Good prices too! I have the same runner and absolutely love it. You gave me lots of inspiration to bring the fall in without it being so dark! So thank you! Oh, I love that! Thank you for letting me know. There is something about this runner that just makes me smile. Such pretty colors. Hope you had a nice long weekend. Hi Courtney, I’ve been eyeing that table to replace my current wood kitchen table and I was wondering how you clean the surface? My current table was beautiful for the first couple of years but has since lost its shine and no matter what I do, I can’t get it back. Do you have to be real careful in what you use on it? Thanks so much! Wow, this table is beautiful! I wish we had a World Market in Tampa…but I always make a trip when visiting family in Cape Coral. They have the cutest stuff!